And he had good reason. Jacob was always taking his stuff. Of course, it wasnt just taking his shirt without asking. And it was worse than borrowing his CDs, or taking the batteries from his CD player - whenever he wanted to - and not bringing them back (well, if he HAD a CD player!). It was worse than taking Esaus best bow and losing half the arrows (and not even bothering to look for them because they werent HIS arrows), and bringing the bow back all bent and busted up and broken. It was worse than all of that. Jacob had stolen Esaus blessing and his birthright. And Esau hated him for it. He hated his brother so much, that he once even said he was going to kill him. He hated him for a long time because of it. A LONG time. So Jacob had to run away from home. And for years and years, it was as if they werent brothers at all. It looked like Jacob and Esau would never be brothers that loved and cared for each other again. That must have broken Gods heart to watch. But now, after all these years of being apart, Jacob was coming home. And Esau was coming to meet him... with FOUR HUNDRED of his strongest men! Things didnt look good for Jacob. This just might be the end of it for him. But Jacob had changed. He wasnt the cheater he used to be, and he was truly sorry for the things he had done. Still, it seemed impossible that Jacob and Esau could ever be friends again. But, with God all things are possible. If you remember from the last story, Jacob just spent the whole night wrestling with God. It was morning now. The sky was a deep blue, and the sun was shining warm and bright when Jacob looked out over the rolling hills. And way off in the distance, he saw a cloud of dust. And just ahead of the cloud of dust, he saw a small speck. It was his brother Esau, leading his four hundred men right towards Jacob and his family! What is Dad doing now? ! Jacobs kids asked when Jacob started running around and telling them all to get behind him, like he was trying to hide them in with all the sheep and goats. What kind of trick is he going to play on Esau now? they joked with each other. But it was no joke. And Jacob was through with tricks. The army of Esau and his men came closer and closer. Jacob could hear the slapping of the camel hoofs beating against the dry ground. Jacob ran ahead of his family and bowed to the ground seven times before his brother, begging for forgiveness. He hoped his brother might at least spare his family. He didnt know what to expect. Esau jumped off his camel and ran to his brother Jacob. He threw his arms around him with tears in his eyes, and said, My brother! I have missed you so much! Jacob could hardly believe what was happening. Yes, I forgive you! Esau said. God has been so good to me. And now he has given my brother back to me! And he threw his arms around his brother again and gave him another great bear hug. God had brought them back together. 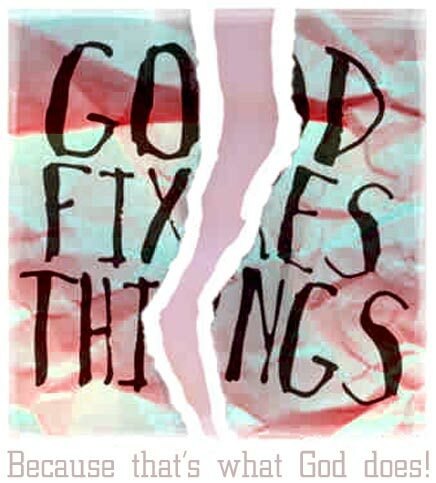 How wonderful to have a God who fixes things!